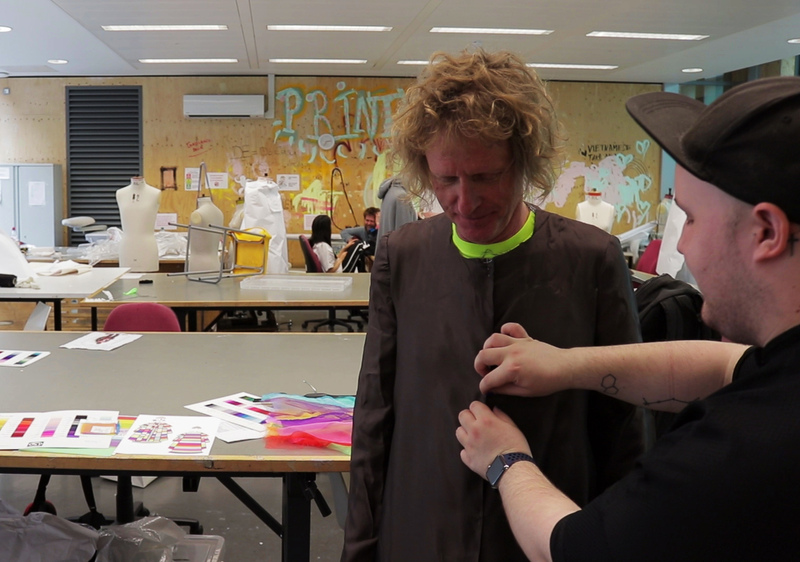 UAL has released the official film of The Making Of Grayson’s New Robes – a fly-on-the-wall look at the talent, tension and frenzy that went into designing Turner Prize-winner Grayson Perry’s new UAL Chancellor robes. The flamboyant artist is universally known for his fanciful frocks, skyscraper platforms and exuberant ensembles – often designed exclusively by UAL students. But in a new twist, Grayson challenged UAL students to design the robes he’d wear as Chancellor – the ceremonial figurehead of UAL – at its 2017 Graduation ceremonies. 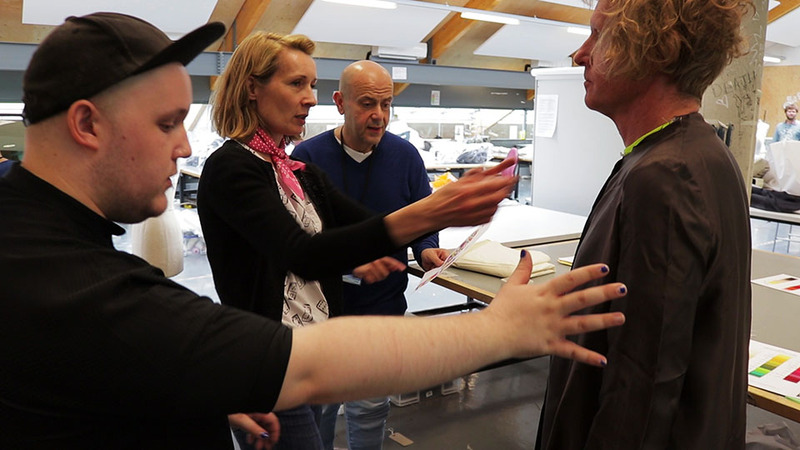 The film follows cameras into Grayson’s private studio where the shortlisted students present their drawings and pitch their ideas to Grayson and his personal seamstress. Hear what the world-famous artist has to say as he’s presented with sketches and swatches that will transform ordinary university Chancellor robes into a mix of art, wonder and spectacle – fit just for Grayson. 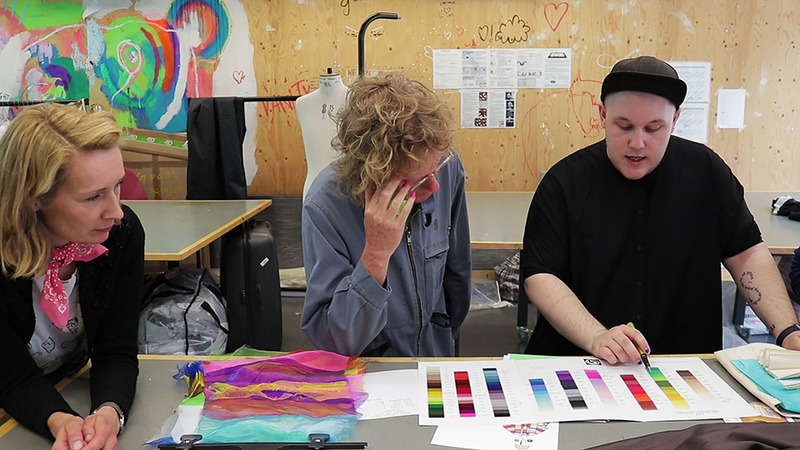 Go behind-the-scenes at the world-renowned fashion studios of Central Saint Martins and watch how winning BA Fashion Design and Knitwear at Central Saint Martins student, 23-year old Keith Tovey worked alongside a team of highly trained technicians, to produce Grayson’s dazzling robes. Battling against the clock to complete the gown ahead of UAL’s Graduation ceremonies – the robes culminated in 500 hours of labour, 31 metres of fabric, 10 coloured French silk organza layers, 15,000 metres of thread and hundreds of French Seams – all completed by a statement crown featuring seven interwoven coloured wires. Featured in the Evening Standard, the robes – dubbed by Grayson to be the right mix of “1970s progressive bishop, gay and cool”– were unveiled at UAL’s July 2017 Graduation Ceremonies. 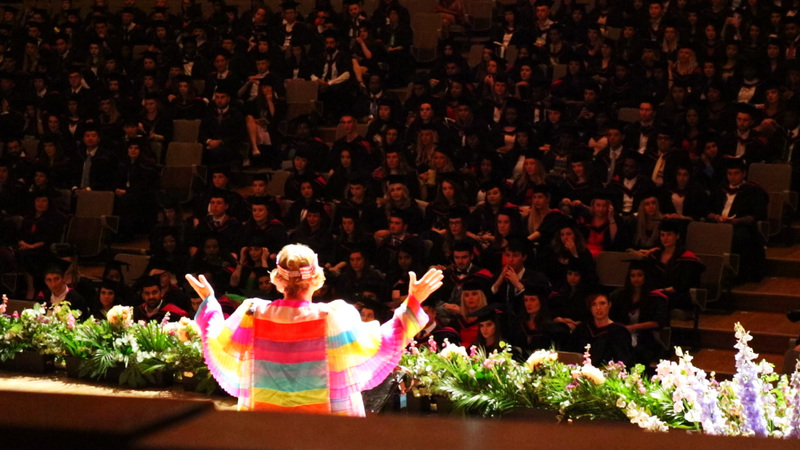 I was confident that given the wealth of talent at UAL I would be taking to the stage in a dazzling outfit, and that has certainly turned out to be the case. Keith, co. and everyone involved have kept the standard high and it looks fantastic – in many ways better than we hoped. I feel like a living stained glass window. It’s amaze’. I always wanted to be a one-man church!